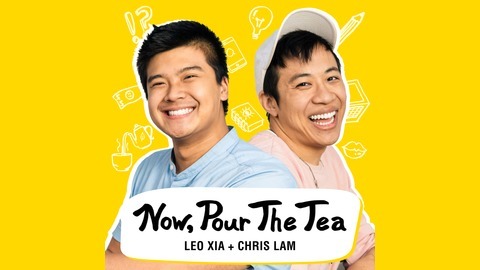 Hang out with YouTuber Chris Lam and musician Leo Xia as they learn more on how to make it as a creative in this age of social media. 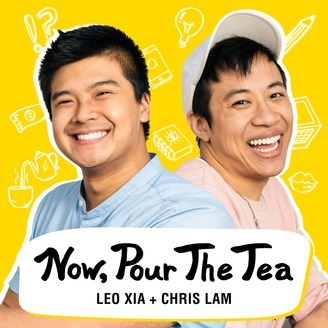 Listen to them chat with a different prominent artist every week on topics ranging from how they got started to money to how they like their boba. Hey all, this is the last episode of this podcast. As we said before, we cannot sustain producing this podcast indefinitely. We are not blaming the outside for not giving us more listens or giving us money or for not getting picked up. As creators ourselves, we both realized we need to refocus on our own creative endeavors as we both still have a lot of work ahead of us. We hope to use everything we have learned from the podcast and our amazing guests going forward and I hope that you will to. We are genuinely proud of this podcast as a series that was completely self-produced and with strong guests we wouldn't be able to connect to otherwise. Thank you for being a part of it. If you want more of us, we are still hustling on the internet as we always have been: Find Chris here and Leo here.